This is another wallpaper I ended up making today as a response to this week's episode of VRAINS. I honestly think this one turned out a whole lot better than the other wallpaper I just submitted. 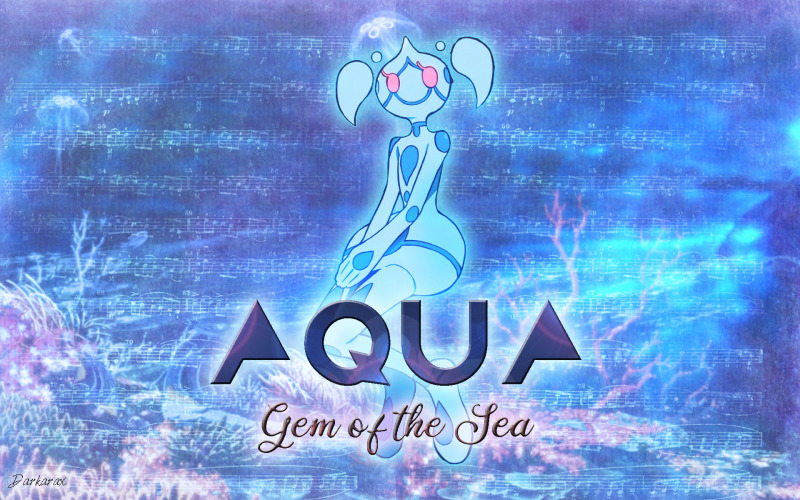 Incidentally, the musical notes in the backdrop are supposed to represent that cool instrumental theme Aqua had in the series. It seems like we've hardly gotten the chance to know Aqua in the few episodes she's been in. At the very least, we could've seen more of her interactions with Aoi/Blue Maiden. Honestly, I kind of find that to be a flaw with Yu-Gi-Oh! VRAINS. It seems like they haven't been doing nearly enough with some of the characters. Well, enjoy.